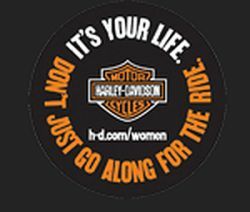 By Completing the form you also create a profile on Harley-Davidson.com. After you finish the form you will be sent an email with a password that will let you log in to make changes to your account setting and personal information. Sticker request valid in U.S. only.